Driving Eastbound on Hastings, I was scouting the restaurants like I usually do. There were a few I still hadn't tried yet and I made a mental note. Again, I was shaking my head whilst catching a glimpse of the lineup at Anton's when wait... Where did Bombay Beat go? It had only changed its name from Bombay Behl not too long ago and the whole place was gone. Shoot, I didn't have a chance to use my Living Social coupon either! Curse those coupons! At least I got a refund for it... 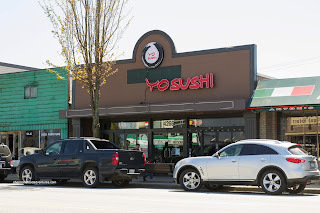 In its place, there is a new Japanese restaurant named Yo Sushi. Having just ate at Gaya Sushi the night before, I still had the Chirashi Don in my mind. So I decided to get the Deluxe Chirashi Don as a comparison. 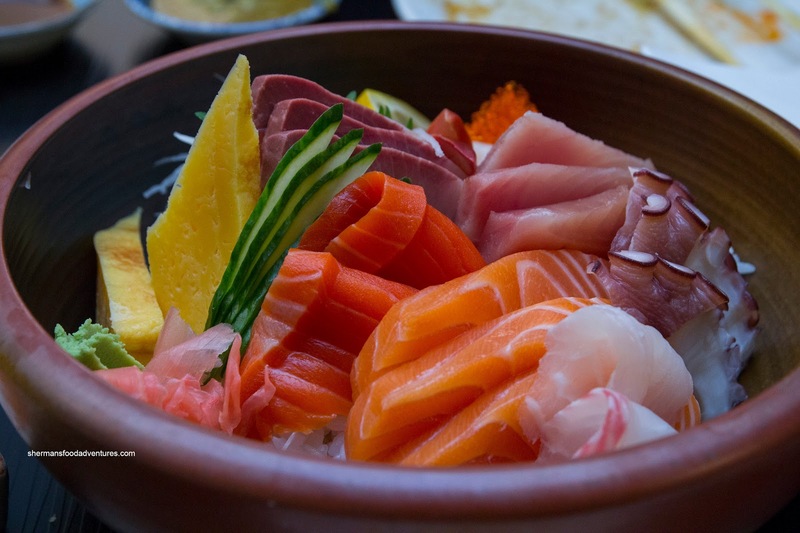 This was a pretty large bowl consisting of mostly appealing seafood (tamago, hamachi, hokkigai, tobiko, hotate, tuna, tako, tai, sockeye and Atlantic salmon), except for the hamachi as it was somewhat fishy. 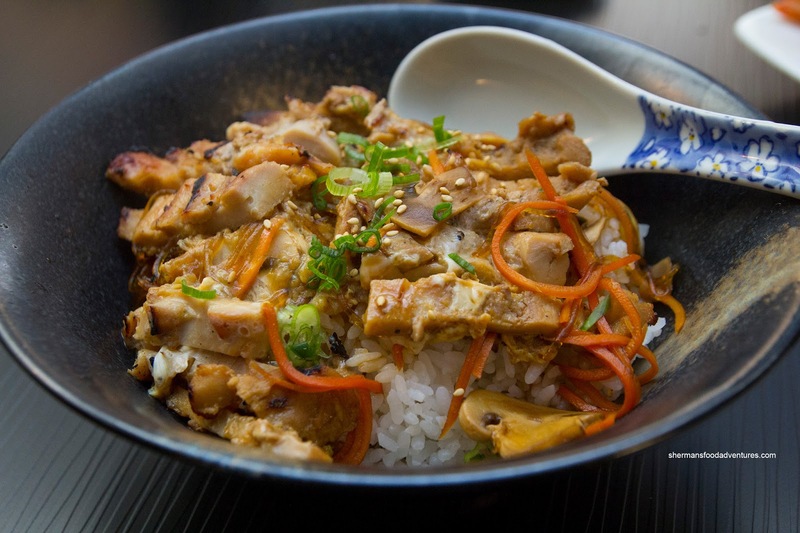 The sushi rice was not bad being chewy and I could taste both vinegar and sweetness. 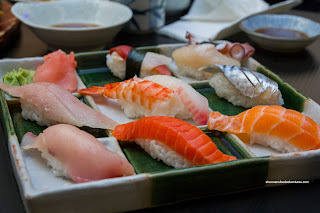 And with that in mind, the Assorted Nigiri was predictably decent as well. The presentation was clean and tidy while each piece was quite uniform with just the right fish-to-rice ratio. Again, we weren't huge fans of the hamachi. 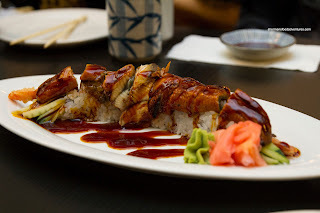 Onto some specialty rolls, we started with the Black Dragon consisting of ebi tempura, cucumber and avocado topped with unagi and unagi sauce. We found the individual components of the roll to be good including the crispy ebi tempura, crunchy cucumbers and plentiful unagi. However, there was far too much sauce (and rice too) which essentially drowned out the flavours. 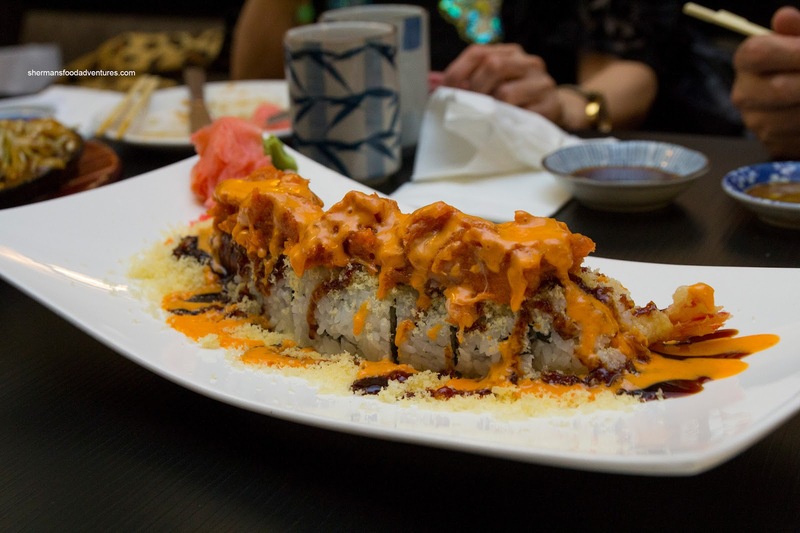 Next up, we had the Red Dragon consisting of ebi tempura, imitation crab and cucumber topped with spicy tuna, tempura bits and spicy sauce. Again, there was far too much sauce which added plenty of sweet and spicy notes, but the whole thing was wet. Moving onto the cooked food, we got the Beef Yakiudon for the kiddies. 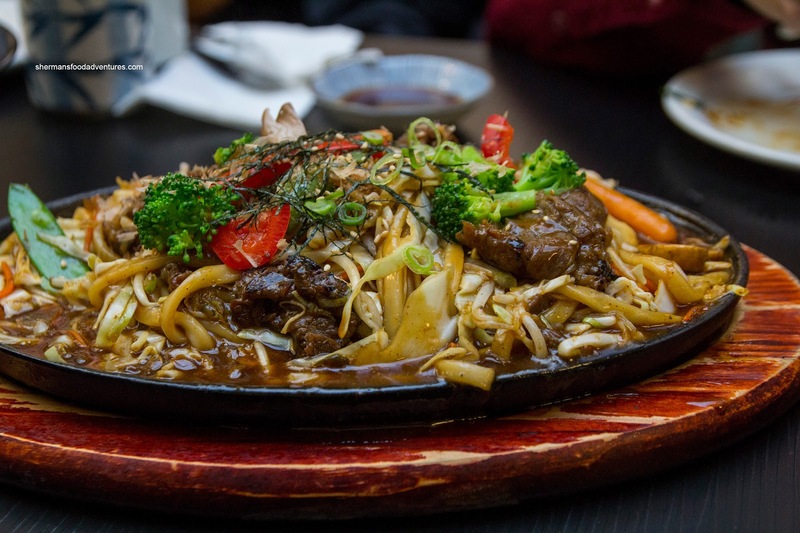 Arriving wetter than a typical December day in Vancouver, the whole dish was literally drowning in sauce. It was predominantly vinegary with some sweetness which meant the noodles tasted as such as well. Suffice to say, this was a pretty disappointing dish. We also got the Oyako Don and it was not exactly what we were expecting. With a stingy amount of egg and even stingier amount of sauce, the whole thing was not that flavourful and lacking in moisture. The dry chicken didn't help matters either. Too bad really because the rice was actually quite good. 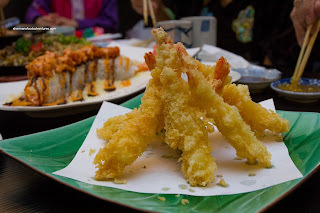 As for the kiddie's favourite, the Ebi Tempura was decent. Although the batter was quite thick, it was crispy and not overly greasy. Moreover, the ebi was of a good size and had a firm texture. Overall, the meal was passable with the raw stuff being the highlight. The specialty rolls were unbalanced, where they could've done with much less sauce and rice. Most notable, the cooked food was a complete disappointment. I would categorize Yo Sushi as barely average if we take everything into account.